Resolving the conflict between two-Judge Bench Judgments in Narsingh Das Tapadia v. Goverdhan Das Partani [(2000) 7 SCC 183] and Sarav Investment & Financial Consultancy Private Limited and Anr. v. Llyods Register of Shipping Indian Office Staff Provident Fund [(2007) 14 SCC 753], a three Judge Bench of Supreme Court held that cognizance of an offence punishable under Section 138 of the Negotiable Instruments Act 1881 cannot be taken on the basis of a complaint filed before the expiry of the period of 15 days stipulated in the notice required to be served upon the drawer of the cheque in terms of Section 138 (c) of Negotiable Instruments Act 1881. It is also held that the payee or the holder in due course of the cheque may file a fresh complaint within one month from the date of decision in the criminal case and, in that event, delay in filing the complaint will be treated as having been condoned under the proviso to clause (b) of Section 142 of the NI Act. (ii) If answer to question No.1 is in the negative, can the complainant be permitted to present the complaint again notwithstanding the fact that the period of one month stipulated under Section 142 (b) for the filing of such a complaint has expired? The Bench also noticed the judgments of High Courts of Calcutta, Orissa, Bombay, Punjab and Haryana, Andhra Pradesh, Allahabad, Gauhati, Rajasthan, Delhi, Madhya Pradesh, Himachal Pradesh, Madras, Jammu and Kashmir and Karnataka and observed that judicial opinion on the first question was split among the High Courts. In Sarav Investment & Financial Consultancy the Supreme Court held that service of notice in terms of Section 138 proviso (b) of the NI Act was a part of cause of action for lodging the complaint and communication to the accused about the fact of dishonouring of the cheques and calling upon him to pay the amount within 15 days was imperative in character. But in Sarav Investment & Financial Consultancy, there is no reference of the decision of Supreme Court in Narsingh Das Tapadia which took the opposite view. “ Section 2(d) of the Code (Cr PC) defines 'complaint'. According to this definition, complaint means any allegation made orally or in writing to a Magistrate with a view to taking his action against a person who has committed an offence. Commission of an offence is a sine qua non for filing a complaint and for taking cognizance of such offence. A bare reading of the provision contained in clause (c) of the proviso makes it clear that no complaint can be filed for an offence under Section 138 of the NI Act unless the period of 15 days has elapsed. Any complaint before the expiry of 15 days from the date on which the notice has been served on the drawer/accused is no complaint at all in the eye of law. It is not the question of prematurity of the complaint where it is filed before expiry of 15 days from the date on which notice has been served on him, it is no complaint at all under law. As a matter of fact, Section 142 of the NI Act, inter alia, creates a legal bar on the Court from taking cognizance of an offence under Section 138 except upon a written complaint. Since a complaint filed under Section 138 of the NI Act before the expiry of 15 days from the date on which the notice has been served on the drawer/accused is no complaint in the eye of law, obviously, no cognizance of an offence can be taken on the basis of such complaint. Merely because at the time of taking cognizance by the Court, the period of 15 days has expired from the date on which notice has been served on the drawer/accused, the Court is not clothed with the jurisdiction to take cognizance of an offence under Section 138 on a complaint filed before the expiry of 15 days from the date of receipt of notice by the drawer of the cheque”. “A conjoint reading of Section 138, which defines as to when and under what circumstances an offence can be said to have been committed, with Section 142(b) of the NI Act, that reiterates the position of the point of time when the cause of action has arisen, leaves no manner of doubt that no offence can be said to have been committed unless and until the period of 15 days, as prescribed under clause (c) of the proviso to Section 138, has, in fact, elapsed. Therefore, a Court is barred in law from taking cognizance of such complaint. It is not open to the Court to take cognizance of such a complaint merely because on the date of consideration or taking cognizance thereof a period of 15 days from the date on which the notice has been served on the drawer/accused has elapsed. We have no doubt that all the five essential features of Section 138 of the NI Act, as noted in the judgment of this Court in Kusum Ingots & Alloys Ltd.19 and which we have approved, must be satisfied for a complaint to be filed under Section 138. If the period prescribed in clause (c) of the proviso to Section 138 has not expired, there is no commission of an offence nor accrual of cause of action for filing of complaint under Section 138 of the NI Act. “Section 142 of the NI Act prescribes the mode and so also the time within which a complaint for an offence under Section 138 of the NI Act can be filed. A complaint made under Section 138 by the payee or the holder in due course of the cheque has to be in writing and needs to be made within one month from the date on which the cause of action has arisen under clause (c) of the proviso to Section 138. The period of one month under Section 142(b) begins from the date on which the cause of action has arisen under clause (c) of the proviso to Section 138. However, if the complainant satisfies the Court that he had sufficient cause for not making a complaint within the prescribed period of one month, a complaint may be taken by the Court after the prescribed period. 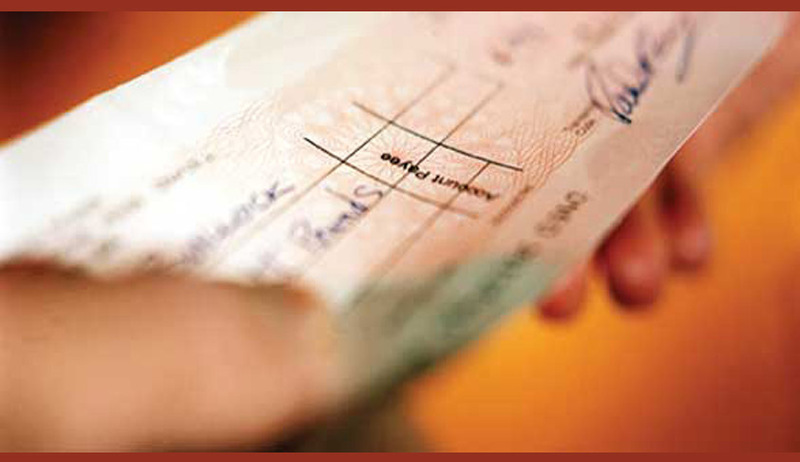 Now, since our answer to question (i) is in the negative, we observe that the payee or the holder in due course of the cheque may file a fresh complaint within one month from the date of decision in the criminal case and, in that event, delay in filing the complaint will be treated as having been condoned under the proviso to clause (b) of Section 142 of the NI Act. This direction shall be deemed to be applicable to all such pending cases where the complaint does not proceed further in view of our answer to question (i). As we have already held that a complaint filed before the expiry of 15 days from the date of receipt of notice issued under clause (c) of the proviso to Section 138 is not maintainable, the complainant cannot be permitted to present the very same complaint at any later stage. His remedy is only to file a fresh complaint; and if the same could not be filed within the time prescribed under Section 142(b), his recourse is to seek the benefit of the proviso, satisfying the Court of sufficient cause”.